There can be no doubt that the Department of Health is in crisis and urgent intervention is needed, but instead of taking steps to improve the situation, officials within the Department have allegedly found a way to use these failings to their advantage. Department Officials are allegedly working with unscrupulous lawyers and the State Attorney’s Office to defraud the Department by losing cases that could have been defended, for kickbacks from the settlements. A national probe by the Special Investigation Unit has been launched and several state attorneys and private legal firms have already had criminal cases opened against them. I have written to the MEC for Health, Helen Sauls-August, to request a full progress report on the SIU probe in the province, as well as asking for clarity on how many officials are being investigated, and what action steps, if any, she will take against the perpetrators. Last week, the Auditor General, Kimi Makwetu, reported that the Eastern Cape Health Department is facing medico-legal claims that are three times the size of the operational budget for this financial year. The Department is facing claims totalling R24,4 billion, (up from 16.8 billion reported in the last financial year) and had paid out R887 million in claims during the year in review. Earlier this year, Minister Aaron Motsoaledi said the Department of Health, nationally, had paid out R60-billion in fraudulent malpractice claims since 2013, which could have been defended. 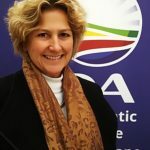 The DA understands that part of the investigation is looking into why 80% of claims against the Eastern Cape Department of Health were being represented by just five lawyers. Sadly, there has never been political will to take responsibility for the failings of this Department, nor have there been any steps taken to hold those responsible of wrongdoing to account. The greed of officials involved in defrauding the state through false claims not only takes away critical funding earmarked for the delivery of services to the sick, but also undermines the claims of those who legitimately have cases against the department. A DA-led government will ensure that corrupt practises that enrich officials and rob our people of their right to effective and efficient health care services are done away with and the perpetrators face the full might of the law.